If you’re a shooter or dealer based in Victoria, then we’ll keep you informed on what’s going on around the industry. We’re here to give you and your fellow shooters the voice you need to fight for our rights to go hunting and target shooting. Our membership includes six of Victoria’s major shooting organisations (Sporting Shooters Association of Australia, Field & Game Australia, Victorian Amateur Pistol Association, Firearm Traders Association, International Practical Shooting Confederation and Vintagers). Collectively we have a combined membership of around 50,000 shooters. We lobby: We represent your industry on issues affecting your sport. We regularly take issues up with relevant politicians from both sides of parliament, ministers and their advisors. 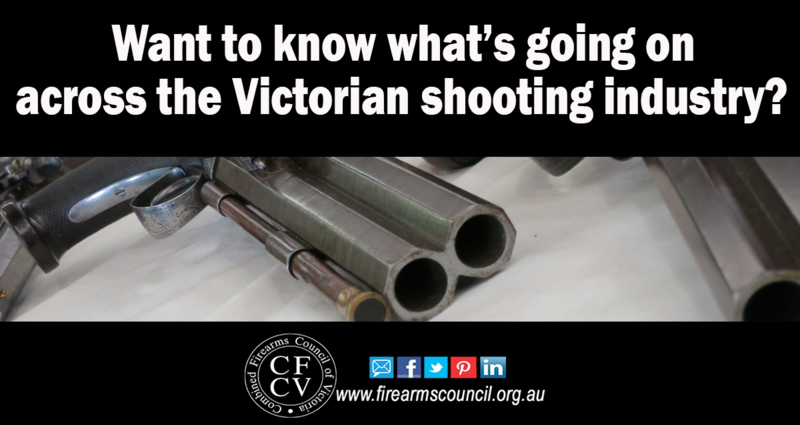 We submit FOI requests to help you find out what the bureaucrats are up to and deal with the media to help other shooters see what we do – and we need to do more. We run election campaigns: We help you work out who to vote for. We support pro-shooting candidates who have a demonstrated track record of supporting us through the provision of how-to-vote information, and help fund their campaigns. This has produced great results, such as $12.5m for improvements to ranges across Victoria, the establishment of the Firearms Consultative Committee and retention of duck hunting. It works, but we need to do more. We inform: We want shooters like you to know about what’s happening around the place and how it affects you, your club, family and shooting mates. We do this through our weekly email update and social media posts. We hold annual forums where you can find out what really does happen ‘behind the scenes’, and what the industry plans to do to protect your sport. We also hold election forums where we look more closely at what the major political parties are – and are not – offering the shooting sports. Sound good? Make sure you get our regular updates. The best way to stay informed is to join our email list. Click here to join it now. Or follow us on Facebook. If you’re on LinkedIn, click here to join our group, Aussie Gun Politics. … and don’t let your mates off the hook! Let them know we’re here, to help our industry become more politically stronger.